People have spoken out loud and quite logically, Imran Khan is the elected candidate to lead a futuristic system of political governance. To discard the incurable resentment against the former indicted criminals turned politicians, people of Pakistan have rejected them at the ballot box. 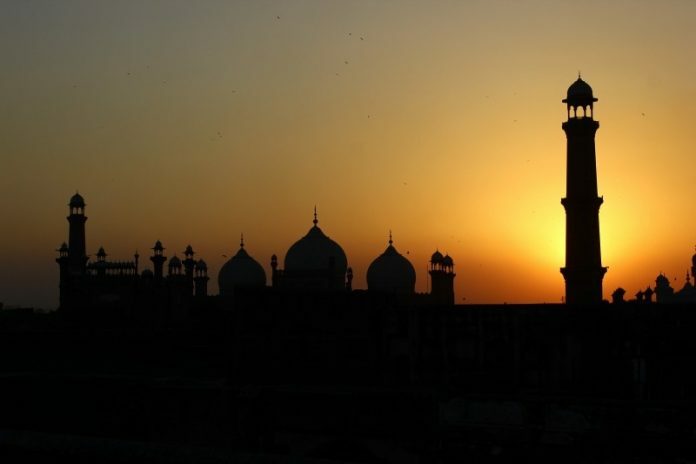 The July 25 national elections under a caretaking non-partisan government were a history-making event in Pakistan’s formal history. Had this happened some sixty years earlier, Pakistan could have been a leading model of democratic norms, social and economic cohesion and political stability to lead other nations in Southwest Asia. 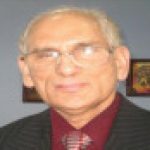 For over 60 years, the so-called Pakistani politicians – former neo-colonial landlords were masters of lies and deception – inept, greedy and historically egomaniacs who stole time and opportunities from the young and educated generations to foster political change and productivity and make Pakistan a stable nation. While other progressive nations of the world encouraged participation and paved favorable opportunities to enlist newly educated and intelligent brand of the young generations, Pakistani political leaders were naïve and indifferent and guilty of having plunged the morally and intellectually conscientious nation into the abyss. None of the Islamic parties appear to have any worthwhile activism in the outcome of the elections. Have they succumbed to be impotent for the future? Imran Khan, the new elected would be Prime Minister wants to rebuild a New Pakistan – a highly promising ideal and slogan under unusual political circumstances. Pakistan desperately needs a new constitution and new political system of governance, a revitalization of socio-economic and political integration between all the cultural diversities of its people in Punjab, Balochistan, Khyber Pakhtunkhwa and Sindh. Pakistanis lost East Pakistan to India and surrendered in 1971 because they were foolish, corrupt and leaderless. The national integration, security, end to foreign aid and strategic cooperation, and political cohesion of the country must assume priorities over other major policy agendas. To dispel the history’s malicious ironies, Imran Khan would need to widen the scope of his thinking and strategic planning to encompass the prevalent political realities of Pakistan. Khan should be open to listening and learning all the time. Nothing is normal in today’s Pakistan. Institutionalized corruption is a favorite perversion to attract people’s support for new ideals of change and anti-corruption psychology. Most indicted criminals like Nawaz Sharif, Bhuttos, Zardari – all wanted to serve the noble ideals of political fairness, honesty, socio-economic stability, human rights and law and justice. The problem was, none of them had such qualities and characteristics in their own life and profile. How could they have given something to others what was not part of their own lives and possessions? One cannot combine wickedness and righteousness in one human character. To make Imran Khan comparatively a credible candidate for genuinely soft approaches to articulate a sustainable compound culture of new thinking, new ideals and new strategies for a New Pakistan, it is imperative that Mr. Khan must know and fully comprehend the nature and scope of the sickness that continued for decades to rob the nation of its due opportunities for change and future-making – a deliberate pillage leading to massive destruction of the socio-economic, moral, intellectual and political infrastructures of the Pakistani nation. None of the former criminals are punished visa-a-vis their crimes against the nation. Mr. Khan does have first–hand knowledge and observations of a lot of such accumulated pillage over the decades. Mr. Khan appears to be a patriotic person with immense know-how and abilities but he must realize rebuilding a nation is not the individual task but a collective formulation of wide range of thinkers, intellectuals, planners and expertise to work in a team and undertake proactive progressive assignments from top to bottom, not the other way in Pakistan. The dishonesty underlying the Pakistan’s political landscape is nothing new or unknown. Allow this conscientious author to say: WHO IS NOT CORRUPT IN PAKISTANI POLITICS? If you get a chance to read “Pakistan: Enigma of Change” (series of articles – 1999 onward in Media Monitors Network, USA), and “Pakistan: Leaders who could not Lead” (10/2007, Media Monitors Network, USA; “Pakistan: Leaders who stabbed the Nation”, 2010; “Pakistan : Anatomy of Turbulent 68th Independence Day”, “Pakistan in Quest of Navigational Change” (2014), by this author, you should have no rational problem to understand the realities of today’s sadistic politics of Pakistan. For over 70 years, Pakistan had no viable system of political governance corresponding to the moral, intellectual and political genius of the masses. The ruling elite and the people lived in conflicting time zones generating wide gulfs of mistrust, foreign influence, corruption, military dictators, and disdained politicians lacking a sense of honesty and accountability with no appeal to reason or missing indicator of live conscience to be serving the public good. How do you change such a filthy and stinking pile of socio-political culture whereby all the well-known thugs and criminals have looted the resources, lifelines and positive energies of the people just for their own good? Mr. Khan must face the existing realities to THINK of the future or he will become part of the piled garbage – a junk history of the nation. He must enlarge the scope of proactive thinking and enlist people of knowledge, intellect moral and professional caliber and those without any stains on their conscience to help him carve a beginning for a new future. He must be careful not to include any pathological liars and interlocutors who were part of darkest chapters of Pakistan’s contemporary history. In parliamentary governance, Imran Khan with 115 seats at the National Assembly would require 22 more elected members to have 137 numbers for a political governance. There should be no horse-trading if he believes in an innovative strategy to evolve a New Pakistan. It will be imperative to put all those egoistic rulers of the past out of business. Their accumulative dishonesty underlying the failure of politics was clear and obvious. Perhaps, educated and intelligent Pakistanis living abroad could be more helpful to Imran Khan if he is serious about developing a New and people-oriented 21st century democratic Pakistan. Often historical errors of judgment and mistakes are irretrievable. If truth and logic has its place in the future-making of New Pakistan, it must have a new Constitution, Presidential system of political governance, a non-partisan strong community of law and justice, retrained elite in the civil services, independent foreign policies and constantly changing and progressive strategies to plan for the future and make it happen out of the planned ideas and workable ideals. Experts and intellectuals who deal with future-making must know the weaknesses of a non-productive socio-economic culture, highly corrupted civil elite and strength of the role of the masses for a durable future. Nothing will change or happen on its own without any critical thinking and prompt diagnostic action with proper follow-up methods of meeting the end purpose. To change and enhance political reformation and developing a new presidential form of governance, Imran Khan would urgently need a coalition of well educated, intelligent and honest proactive people of the young generation to build a foundation of ideas and ideals and workable strategies based on refined plans for future-making. It is apparent that after this highly contested election, the nation will not accept the normalcy of having previous indicted thugs, criminals and killers as part of the solution for future-making. Imran Khan must be careful not to indulge in melodramatic claims for the future; it could undermine his political future without making it happen on the ground. He should not rely on party loyalists or other seasonal collaborators but those enriched with a sense of honesty and obligation to work in a team and usher a collective plan of action for planned change and progressively sustainable results. Political powerhouses must be connected to the thoughts and aspirations of the masses and be of service to them. The gimmick of foreign aid must be stopped to unfold a new strategy of self-reliance and development of its own resources and socio-economic strength. Pakistan could be a progressive nation if there is no systematic corruption and if proactive plans for change are implemented honestly to make the difference. Nations are not built by chance or by the few but of a collective thinking and action plan to make the future-happen and to monitor its progress continuously with the fullest accountability for the policy outcomes. Good judgments and logical pursuits seek rational and balanced strategies to ensure collective progress and accountability, lack of such imperatives eventually find failure, imbalance and treachery to the ideals of nation-building. Given his sense of proclaimed honesty and clean political character, Mr. Imran Khan must know the 21st-century requisites of creative and effective leadership and must not allow self-ego turned into a kind of cancer that could consume the self and indulge in a perversion of the challenging realities of Pakistan’s future-making. Next articleWhere Will It All End?